Here is our Ecuador import tour entering this organic garden. We were only the second visitors to the project. The group met the Peace Corp. volunteer at the juice bar being installed. The juices, of course, will come from the organic fruit and vegetables in this Ecuador organic garden. 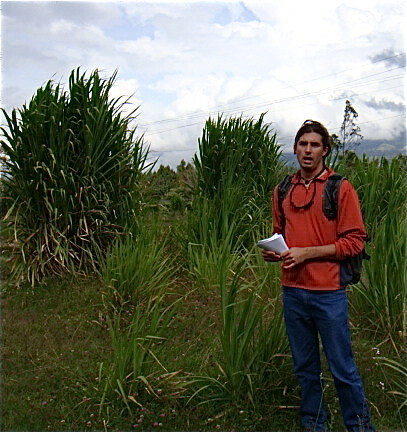 Here is a report sent by Kenji Tabery the Peace Corps volunteer who is working on this Ecuador organic garden project. Here is Kenji speaking to our group. 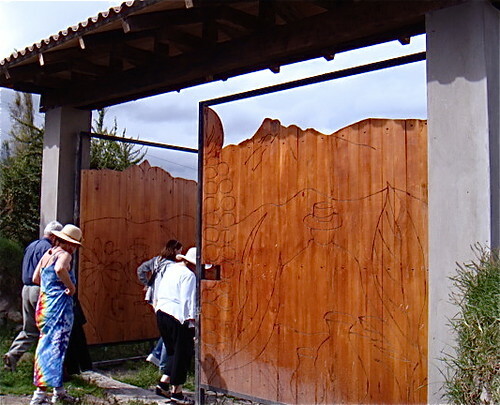 The Ethno-botanic Garden of Cotacachi aims to conserve and display the native biodiversity of the region. 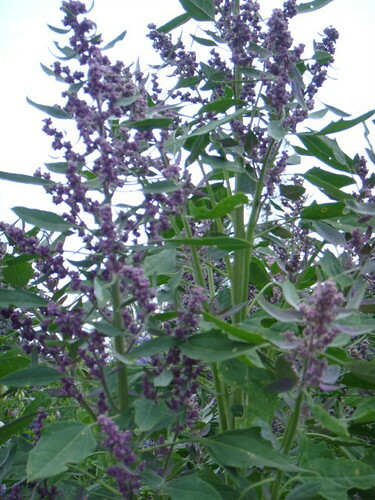 The varieties found in this garden are also stored in the seed bank of the national agriculture research organization (INIAP). It is also important for these varieties to be available to the communities who domesticated them and continue to select new varieties. Colonial rule and the global economy have often suppressed, but never extinguished, the seed systems used by the indigenous people. 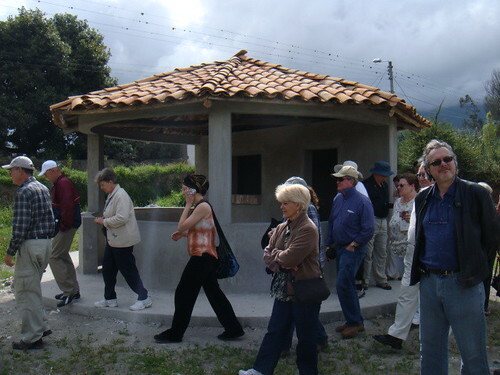 This garden highlights this diversity by educating tourists and locals the diversity of useful plants, which reflects the rich history and present day culture of Cotacachi. The revalorization of traditional crops and culture is the community-identified priority that this project addresses. 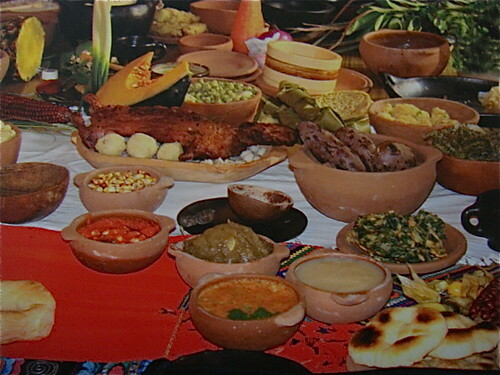 The Ethno-botanic Garden of Cotacachi does this by providing a space where community members, especially children, can come to see the rich diversity of native crops and learn how they are used in foods, fibers, instruments, games and healing and also about traditional, agro-ecological practices. The benefits and gains expected from the community are the following: the garden acts as an educational tool about the importance of biodiversity conservation to community children and local and national students; the garden will provide a sustainable-income for participants/community members whether its monetary or sustenance through the cultivation of crops; it will become a national tourist attraction; and the garden’s development and success will be an example of sustainable eco-tourism project that could be adapted to other regions throughout Ecuador. The garden also has a center where products that are 100% organic and fair trade are made by the local indigenous woman’s group. These include healing creams, herbs, spices, lotions and such. 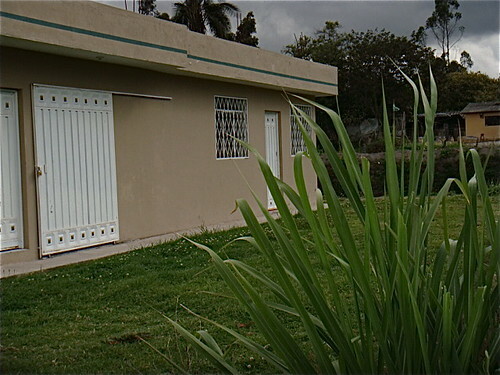 Here is the center at the Ecuador organic garden. We are excited about this project because I have asked our hotel, Meson de las Flores to buy as much of their organic produce as it can… such as this organic quinoa that is growing there. There are some terrific recipes that can be produced from these organic crops and they have produced a cook book, “Ally Kawsaymanta” (Good life) … in Spanish only for now. Expect to see some of these recipes show up at our restaurant Quinoa Cafe. 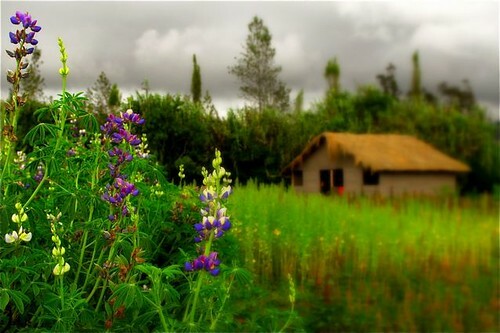 Our foundation, Land of the Sun has also agreed to help support this Ecuador organic garden. Our first under taking is to finance the production of a brochure for them. We use part of our rose donations for this project. The group also loved the music center at the Ecuador Organic Garden. The reeds behind the garden which are used to make the pan pipes and flutes. Here is the group learning about the value of music and organic gardens. 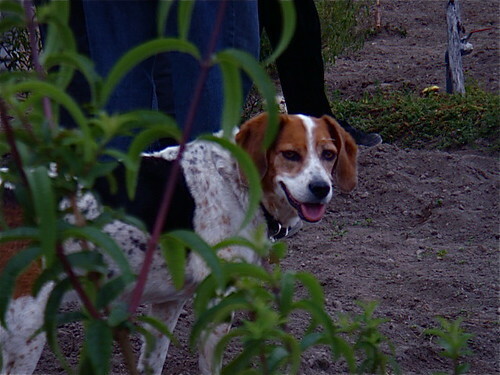 Our hound dog Ma enjoyed the orgaincs too. 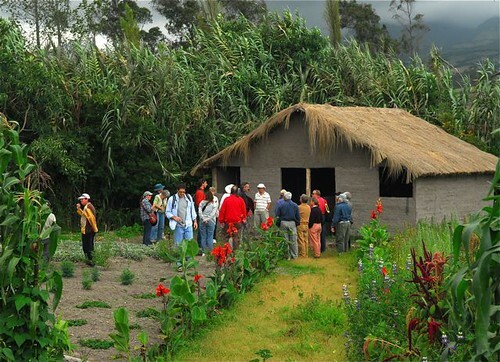 We hope to share this organic Ecuador garden with you! 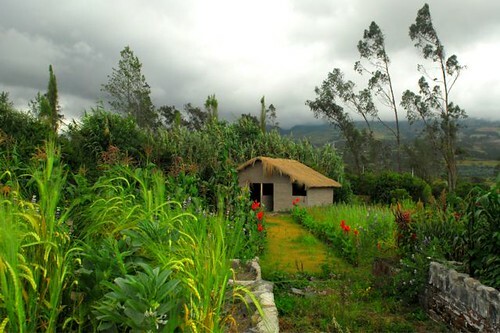 You can learn more about this Ecuador Organic garden as an Ecuador Living subscriber. Learn about how to invest from as you earn and live in Ecuador at our seminar described below.